September is the season for tomatoes! 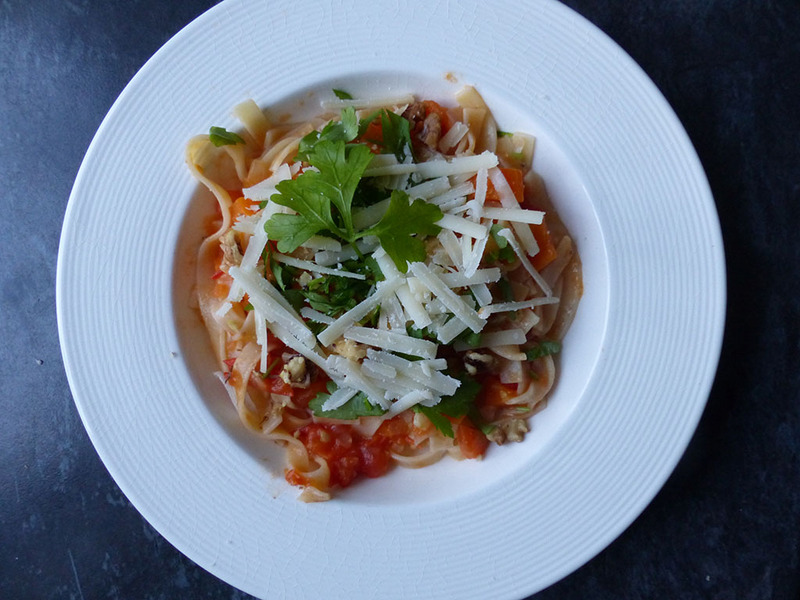 Use them in salads, tomato soup or in pasta dishes, like this gluten free, dairy free and egg free fettuccine meal. Heat half of the oil, add the onion and celery and cook for about 5 minutes. Add the tomatoes, carrot, vinegar and wine. Simmer for 25 minutes. Meanwhile cook the tagliatelle following the instructions printed on the packet. Heat the rest of the oil and fry the walnuts for around 5 minutes. Reduce waste and freeze any leftover sauce for later use!